Need to add volume to your hair? Hmm, you are in the right place to learn all about VOLOOM reviews. Their flat iron does not work like a traditional crimper, it has its own patented mechanism to give volume that lasts not just the whole day, but the next day as well. They have the perfect model for every hair type. All the models work, so just get rid of the confusion whether you will get volume or not. All you should concentrate on which model will be the best pick for your hair type. I will give you the most in-depth 3 VOLOOM hair volumizing iron reviews in total. But before that, you should look at the following VOLOOM volumizing iron comparison table. All the information presented below is prepared based on users feedback. So, you are getting the true picture of these irons. As you have seen from the above table, the classic model is not suitable for short hair. So, keep that in your mind while you make up your mind. Since it is the most popular model so far, I am gonna start VOLOOM reviews with this one. Lots of brands like Hot Tools have volumizing hair iron, so how does it different than others? It has to be good, right? Because you are paying a little more than what you would have to pay for other brands. Well, whether most other micro crimper leaves mark on hair, this one does not. This is because it does not get as close to your scalp as other crimper does. Besides, it is proven that VOLOOM classic volumizing hair iron is much faster to use and takes around 10 minutes where other brands take on an average 20 minutes. More so, it heats up so fast that literally, you don’t have to kill time for heating up the styler. Huge time saver! Love to have thick luxurious hair? But you have thin hair so you are thinking you can’t have it, right? Lots of ladies with thin hair call it the game changer because of the full volume they get for the whole day. If you are thinking that your hair is impossible to style, then you really should try this be amazed yourself. Another great thing about this iron is that the volume really lasts for the whole day, without using any extra products! Since it is pricey, lots of women were hesitant at first, but the end result has changed their outlook and now they are in deep love with it. Now, let’s see the official video tutorial from VOLOOM. Suitable for medium to long, fine and thin or layered hair to add noticeable volume. No need to use any extra products like sprays, gels, mousses etc. Considering this, this iron is actually saving you money a lot. Lots of recommendations for noticeable volume for the whole day. Even if you have thick wavy hair, it will pump up your hair’s volume that will last for a very long time. Want to run your fingers through your hair? You can! If humidity is something responsible for your hair, this tool will work better than any other tools. You can count on that. Ionic technology to protect your hair from damage. Ceramic coated plates to seal the hair cuticle. No burning smell, hair pull/catch. Have African-American hair? You can use it for volume for sure! Does not require much effort to get the best result. Enough good talks have already been said. But to have a complete VOLOOM hair volumizing iron reviews, you need to know some of its cons as well. So, here you go! First of all, this is not for everyone. Not everybody can afford it because of its higher price. If you have a budget issue, go for the cheaper crimper like Hot Tools. Have incidents of stop working after few months. If you have short hair, don’t buy this model. They have other models for short hair. In the previous VOLOOM hair iron reviews, I mentioned that that was not suitable for short hair (a hair below 4”). Well, women with short to medium length hair can now have volume for the whole day with the petite model. As you can see, it is specifically designed for the short to medium length hair. If you have been using lots of shampoos to add a little volume to your fine hair, try this. Without using any shampoo or other products, VOLOOM petite hair iron will change your experience giving you extra volume for the whole day! Lots of women are now getting 3 times bigger volume after using this iron. If you are tired of using mousses and other hair products to get any decent volume, this one will be your ultimate game changer just like it already done for lots of women. Ladies with short fine and silky call it the godsend styler for who have been missing such gorgeous volume for so long years. Women with shoulder-length fine, thin, flat hair always feel crazy about their hair. This is the solution for you. Within just a few minutes, it gives you volume like you have never experienced before. Now, let’s see how you should use it. If you have experience of using any crimper, you should be able to do this. However, keeping some points in mind while using it is always recommended. To turn on the iron, hold the start button for about 3 to 5 seconds. After the iron is on, set the iron at the lower temperature as a precaution until you get used to it. Then use it just like a normal crimper. Don’t hold it more than 1 second on your hair. Also, don’t forget to use any good heat protectant to protect your hair from excessive hair. Now, let’s see whether it works in the following video! 10 inches long iron with 1-inch plates. Adjustable heat temperatures. Heats up so fast that you can start styling your hair almost immediately. Won’t make your hair frizzy after you have used this. Comes with everything to have the perfect volume of sectioning brush, clips, travel pouch, and a pad. Protective ceramic-coated plates and ionic technology to deliver the long-lasting best result without damaging your hair. No hair pulling as well. So many happy ladies with short fine hair have recommended it for long-lasting volume to hair. It’s pricey but worth every penny. A great long-term investment that will save you a lot of money which you would have to spend going to the expensive salon. Great after sales service. Explain your problem to them; they will take care of it. 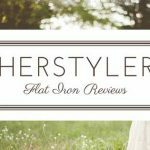 It’s time to learn some bitter truth about this VOLOOM iron reviews. I believe the pros should supersede the cons, but still, you should know about it. Little incidents of sudden stoppage of work. Contact their support center ASAP. Rootie the ultimate root lifter is perfect for every hair type to add volume to hair and that lasts even after the whole day. Maybe you have straight thin hair of any size like short/medium; Rootie can give you the full gorgeous volume. It’s pricey, but the result you will get every day is salon-grade as well. Lots of girls having PCOS just have their thin hair. They lost the hope of getting any volume to their hair. The Rootie just change their outlook! Lots of lives have already been changed and they have recommended it to you if you think you are NOT getting the desired volume you want from your heart. Once again you will start loving your thick and lush hair. And if you want to know whether there is any difference between the Petite and Rootie model, I must say nothing mentionable facts between the two. Only that the Petite one has deeper plates and women with short hair love the Petite much than the Rootie. Are you finding this VOLOOM hair volumizing iron reviews useful? Keep reading! Not just it works so well, it heats up so fast and the volume lasts until the next day. Of course, there will be some less volume and for long-lasting volume with little work, it’s second to none. It’s so easy to use the iron and no hair burning smell issue at all. If lots of women with lifeless fine hair can have the long-cherished volume, you can have as well. Just like the previous two models, Rootie does not require any extra styling products as well. For natural full looking hair, Rootie has huge recommendations from professional hairdressers and experienced women. Tips: If you want fewer imprints from the Rootie, don’t close the plates completely. Also, set the temperature as much lower as you can. 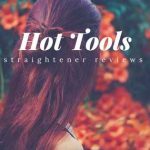 It’s time to check other features in the VOLOOM hair iron reviews. If everything like hairspray, flat iron, teasing etc has failed to give you volume that you want, Rootie won’t disappoint you! Patented beveled platforms to create volume pockets under the layers of your hair. No matter what weather you are living in – may in humidity area like Texas? This is just perfect to have long-lasting full volume. Suitable for every season including the winter. Adjustable heat temperature settings range from 220° F to 395° F. Remember, too much heat is damaging to hair. Suitable for every hair types. Your hair should have at least 4 inches in length. Salon-quality full volume hair at your home daily. VOLOOM stands behind their products. You are paying a pretty good amount of money and it’s is safe. 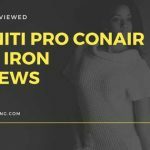 You need to know some uncomfortable information in this VOLOOM iron reviews as well. Otherwise, you won’t get the true and fair reviews. So, here you go. Very few women fine shoulder length hair left feedback saying it did nothing for their hair. Not suitable for women with long hair. Huh! A pretty long article, right? All my hard work will pay only if you find it useful. If you want to add volume, you really don’t need to look any further. You know your hair length, now just pick the right model! I got pretty thin fine hair. I have tried several hair iron, dryer, and so many other things to add some volume to my hair. Volumes hair is my long cherished dream and I feel sorry when I see my friends have them but I don’t. So, how sure are you that voloom will work for me. They seems a little bit costly and I don’t want to be frustrated spending money on garbage.